Congratulations to all the recent Award recipients for January, February, and March! The weekly meeting held on January 30, 2019 has been cancelled due to extreme cold weather conditions. Please join us next week on February 6 for our regularly scheduled activities! Regular Event is this upcoming weekend – please help out where you can. 30-Jan will be the R&R Revel as we all recover from the event. Site opens for setup at 7:30 on Saturday. Troll opens at 9 am. Come early for hot coffee, and to help prepare. Jolicia in particular is looking for help to put up banners and other decorations. The entire royal family is planning to attend. Shazada is looking for royal retainers and guards, as well as people to help unload and load the royal family’s gear. Please volunteer online. Jacqueline is sponsoring an A&S Competition. Please check out the rules online. There’s still time to prepare your entry! Branwyn, is running the Breakfast Bar, and is seeking donations of baked goods for breakfast. Please bring them to the event in the morning. Dorothea, running the Lunch Tavern, could use some help in serving and money handling. Aidan, is cooking feast, and could use help in the kitchen. Please feel to come buy and help with the prepping and chopping. Brendan will be heading up the Scullery team. Come volunteer if you’d like to sing among the suds. Rowan could use help with setup and pack up of the Youth Point. Please participate in our first Snowball fight. Bring socks to throw at target (or your friends, we’re not picky) or donate to ‘rent’ socks donated by others. All socks and donations are destined for a local homeless shelter after the event. Njall encourages everyone interested to participate in list heraldry or in Court. There’s plenty to be said: come and say it! Next week, Elizabeth will be teaching a class on Posternosters. Please tell Runa if you’d like to teach, or provide suggestions about what you’d like to learn. The Yule Revel Scribal Challenge was won by Meridian. Miriana’s Largesse Challenge was tonight. Brendan’s small books won the populace bean count. The Baroness Choice was for the paternosters painted in Cleftlands colors, completed by RAgna and Reinhold. Armorer’s Guild will meet at Ealdred and Clairiel’s home this Thursday. Please contact Calum at calum@wowway.com for information or directions. Beermaking and A&S Social will be hosted this Thursday by Stephen von Lubeck. Archery Guild has moved to Sundays, but is cancelled due to the sudden onset of Winter! For future dates, please check the Baronial Facebook page for details, or contact Gwyneth. Needleworkers Guild meets 2nd and 4th Tuesdays. 29-Jan at Miriana’s home in S. Euclid, and 12-Feb at Madelaine’s home near Kamm’s Corner. Contact Madelaine at lymadelaine@sbcglobal.net for detail for details and directions. Scribes Guild meets first Mondays at 7 pm at Brackenburye Cottage. Please contact Melisent at Grace@case.edu with any questions. Pre reg early, and often, to avoid standing around in the lines in the January ‘heat.’ You can prereg at meeting next, or, once again, online. Shazada is looking for royal retainers and guards, as well as people to help unload and load the royal family’s gear. Please volunteer online. Breakfast Tavern is seeking donations of baked goods for breakfast. Please bring them to the event in the morning, or to meeting next week. Jacqueline is looking for additional help to ‘flip’ the fighting field for Court, and the A&S room for feast. Please let her know if you can move a table or two, or tote some chairs. If you are interested in an advance screening of ‘The Kid Who Would be King’ on the morning of Sat, 12-Jan, please contact Jolicia who has access to tickets. Don’t forget to bring your items of Baronial largesse to Miriana’s Largesse Challenge next meeting, 16-Jan.
Needleworkers Guild meets 2nd and 4th Tuesdays. 15-Jan at Constaza’s home in Cleveland Hts, 29-Jan at Miriana’s home in S. Euclid, and 12-Feb at Madelaine’s home near Kamm’s Corner. Contact Madelaine at lymadelaine@sbcglobal.net for detail for details and directions. 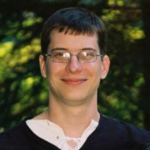 We have a new Baronial Armored Youth Marshal: Bastian. Please talk to him about starting any children on armored youth combat. We are looking for a new Baronial Archery Marshal. The Midrealm site, including the calendar, has been down since Christmas day. If you have you’re expecting to come, you may want to share the event site with them, because they can’t link from the calendar. If you’re interested in helping our royalty, either with loading and unloading, as retainers, or as guards, please sign up at their Majesties website, https://www.signupgenius.com/go/20f0b4ba9a72ea1fc1-regular. Their Highnesses will also be attending: let Eve/Shazada know if you’d like to assist with them, as we don’t have a link to their page. Lady Jacqueline could use help setting up the feast hall after A&S activities have ended, and setting up for Court after the martial activities have ended. Please get in touch with her if you can assist. Or, if you see people at the event moving chairs and tables, just pitch right in! Don’t forget to bring pairs of socks for the first Great Snowball Fight. Please bring entries for the A&S Competition. Gate is open at meeting: they could use assistance on the day of. Even 30 minutes or an hour would be gratefully received. As this is a new site, it’s going to be confusing to both us and our guests: please help out on the day of with getting our guests to whatever they want to be doing. Jan Revel’s theme is Rest and Recovery. Come to share your event experiences. Feb Revel will be a Craftperson’s Faire and A&S tryout. March Revel’s theme is ROMAN! Please check out all the Roman-themed A&S classes this winter. Just a reminder, it’s never too early to start planning for NOWM. This year, one week earlier! We’ll still be having monthly consultations on the first meeting of the month on names and heraldry. Please participate if you’re at all interested in learning more about heraldry. The Barony of the Cleftlands is accepting applications for Archery Marshal. This position requires current SCA membership. If you would like to be considered for this position, please fill out the application online. The submission will be received by the Baron, Baroness, Seneschal, and Archery Marshal for review prior to being presented at an Officers meeting for final vote. The deadline for submissions is February 28, 2019. Questions or comments may be directed to my inbox. The Cleftlands would like to welcome Sergeant Njall Orkneyjarson as Herald! A special thanks to the outgoing Herald the honorable Lady Ginevra Boscoli for her hard work and service. Their Excellencies Crispin and Gianna, fifth Baron and Baroness of the Cleftlands, cordially invite you to their fall Cleftlands Rapier Classic. This tournament will be held on Wednesday, November 28th, 2018 in Euclid, OH. All authorized rapier combatants are encouraged to participate, regardless of rank, station, or location. The tournament will commence around 7:45 PM. If competing, please arrive early enough to make your intentions known at the list table as well as reporting in to the heralds who will not only announce you and your consort, but help you process into the tourney by Order of Precedence. Non-combatants, please do honor to your worthy champion and dress your best to support their efforts. 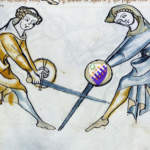 Revelers are encouraged to swing by the gallery to get expert commentary, bring and enjoy some nibbles, and enter a friendly wager on our squares-style “medieval” grids. Submit a token or largesse* (no real money or alcohol) to reserve a square. When the final 8 are decided, names of those combatants will be put into the squares at random, so you never know who you’re going to get! Cheer on your contestants, and if you get the square that matches the final results, you’ll win the grand prize. Gifts for runners-up will also be awarded. * Largesse collected will be added to the Cleftlands gift basket supplies. These supplies will be used for kingdom and/or visiting nobility gift baskets. Thank you! 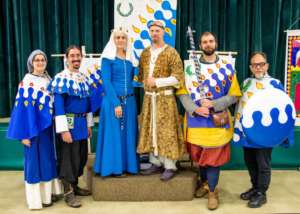 The Barony of the Cleftlands is accepting applications for Herald, Youth Marshal, and Quartermaster. These positions require current SCA membership. If you would like to be considered for any of these positions, please fill out the application online. The submission will be received by the Baron, Baroness, Seneschal, and current office holder for review prior to being presented at an Officers meeting for final vote. Questions or comments may be directed to my inbox. The Barony is still looking to fill the position of Quartermaster: the officer who stores and maintains the Barony’s stores. If you have any questions, please contact Cadfan. Iron Key, Carl: Looking for any spare rattan for making swords for the Iron Key. Also, demi gauntlets are needed: please donate any you might not be needing, or come to Armorer’s guild and help make some. Classes! Please tell Runa if you’d like to teach, or provide suggestions about what you’d like to learn. There will be no classes the week of the October Revel. Njall’s Armored League continues, with Calum currently in the lead. Ask Njall for favors to bestow on the fighters who impress or please you, to give them one point. Please contact Njall if you want more details about the League or the populace favors. 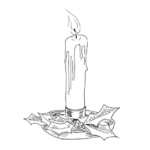 For the Yule Revel, complete one scroll blank in a new style, or using a new medium. For the 17-Jan meeting, complete largesse using the Baronial heraldry to donate to the Baron and Baroness. There may be prizes. Miriana, Cadfan, Baroness Gianna, Baron Crispin, Muldonny, and Vlad. Photograph by Tarmach ben Yehuda al-Khazari. Know that it was both an honor and privilege to host the twenty-seventh annual Standard Bearers Baronial Championship on September 22, 2018 in the northernmost reaches of Euclid in our beloved Cleftlands. We offer thanks to all who attended and to those who participated in the many challenges and activities throughout the day. 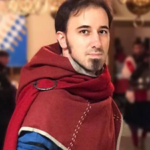 Special thanks to those staff members mentioned including, but not limited to: Edward Brackenburye (Steward/Archery MIC), Cadfan of Cleftlands (Steward), Lassarina O’Malley (Gate), Thorin Eikskjald (Armored MIC), Jao Veludo Alfonso d’Albuquerque (Rapier MIC), Robin of Cleftlands (Breakfast), Ysenda ingen Maldouen (Lunch), Claricia de la Mere (Feast), and all others who assisted throughout the day or shadowed to learn a new event skill. Once again, thank you to all who participated to make this an amazing Standard Bearers!